This post was first published on the Idealware Blog in September of 2009. RSS, one of my favorite protocols, has been taking a beating in the blogosphere. Steve Gillmor, in his blog TechcrunchIT, declared it dead in May, and many others have followed suit. 1. RSS is, and always has been about, taking control of the information you peruse. Instead of searching, browsing, and otherwise separating a little wheat from a load of chaff, you use RSS to subscribe to the content that you have vetted as pertinent to your interests and needs. While that might cross-over a bit with what your friends want to share on Facebook, it’s you determining the importance, not your friends. For a number of us, who use the internet for research; brand monitoring; or other explicit purposes, a good RSS Reader will still offer the best productivity boost out there. 2. Where do you think your friends get those links? It’s highly likely that most of them — before the retweets and the sharing — grabbed them from an RSS feed. I post links on Twitter and Facebook, and I get most of them from my Google Reader flow. 3. It’s not the water, it’s the pipe. The majority of those links referred by Twitter are fed into Twitter via RSS. Twitterfeed, the most popular tool for feeding RSS data to Twitter, boasts about half a million feeds. Facebook, Friendfeed and their ilk all allow importing from RSS sources to profiles. My first big RSS experiment built on the nptech tagging phenomenon. Some background: About five years ago, with the advent of RSS-enabled websites that allowed for storing and tagging information (such as Delicious, Flickr and most blogging platforms), Techsoup CEO Marnie Webb had a bright idea. She started tagging articles, blog posts, and other content pertinent to those working in or with nonprofits and technology with the tag “nptech”. She invited her friends to do the same. And she shared with everyone her tips for setting up an RSS newsreader and subscribing to things marked with our tag. Marnie and I had lunch in late 2005 and agreed that the next step was to set up a web site that aggregated all of this information. So I put up the nptech.info site, which continues to pull nptech-tagged blog entries from around the web. Recently, I used Twitterfeed to push the nptech aggregated information to the nptechinfo Twitter account. So, if you don’t like RSS, you can still get the links via Twitter. But stay aware that they get there via RSS! I use RSS to track Idealware comments, Idealware mentions on Twitter, and I subscribe to the blog, of course, so I can see what my friends are saying. 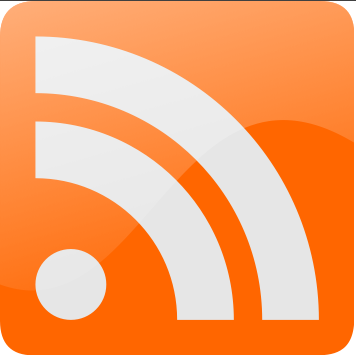 I use RSS on my personal website to do some lifestreaming, pulling in Tweets and my Google Reader favorites. But I’m pretty dull — what’s more exciting is the way that Google Reader let me create a “bundle” of all of the nptech blogs that I follow. You can sample a bunch of great Idealware-sympatico bloggers just by adding it to your reader. Is RSS dead? Not around here. This entry was posted in NPTech, Social Media, Technology, Web and tagged data, drupal, Idealware Blog, nptechinfo, rss, twitter on October 7, 2009 by Peter Campbell. It’d be great if you found the time to share your opinion on the matter. I’m not a great friend of RSS -> Twitter either. A lot of the headlines of my day job’s site (http://www.ifrc.org) don’t fit the Twitter format well. And I prefer to rewrite them manually and attach hashtags. I think that’s a pretty valuable point that my gushing over the automation missed: why it is often a good idea not to automate via RSS. For Facebook, I do it two ways: For most of my Idealware posts, I use the Facebook Selective Twitter Status app so that I can announce the post to my status as well as Twitter. For the ones that i think are of particular interest to my Facebook audience (which has a lot more friends and family than my twitter stream, largely nptech), I do a wall post. I would never consider feeding it to my notes, partially because I think that’s too obscure to be useful, and mainly because I don’t want to publish my blog on Facebook (I do full text RSS, not teasers). i don’t trust that Facebook will agree that i own my content if I actually publish it there. Similarly, while I have twitterfeed automating posts to my @techcafeteria and @nptechinfo accounts, I don’t automate anything that goes to @peterscampbell. I want to have a personal presence on Twitter, and I like to explain why I’m posting a link, not just post it.